Browse > Home / Staff / Counselors / Missing Muffin Break? Some days, do you find yourself feeling not quite right? You can’t exactly deduce what the problem is, but something is definitively “off”. Does a strange sensation come over you, say around 10:45, and leave you in a state of want? Perhaps, friend, you’re missing your daily dose of muffin. 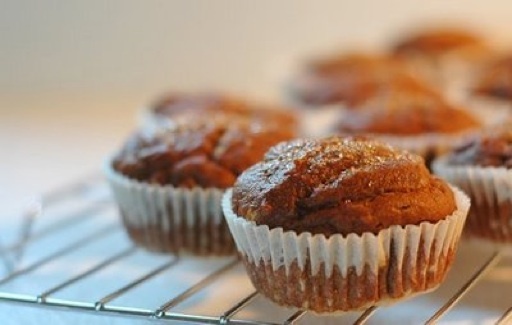 We’re spoiled to have warm, homemade muffins readily available every day during the summer, and that kind of eating routine is a hard one to let go of. 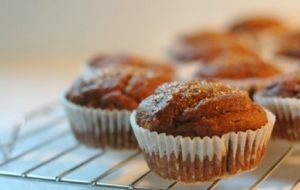 To get you through these long winter months without Allison’s delicious baked creations, indulge in this holiday muffin recipe, and let your mind wander back to all of the delights of the summer! Directions: Preheat oven to 350°. Grease 12 muffin cup/tins. In medium bowl, beat the egg, applesauce, oil, molasses and 1/2 cup sugar. Combine dry ingredients in a medium bowl and add to first mixture. Stir in the water, mixing well. Fill the muffin cups two-thirds full. Lightly sprinkle with sugar. Bake at 350° for 20 to 25 minutes or until done.